8 April 2019. Here’s a candid shot (sort of; two of the three people in the image did notice the photographer). 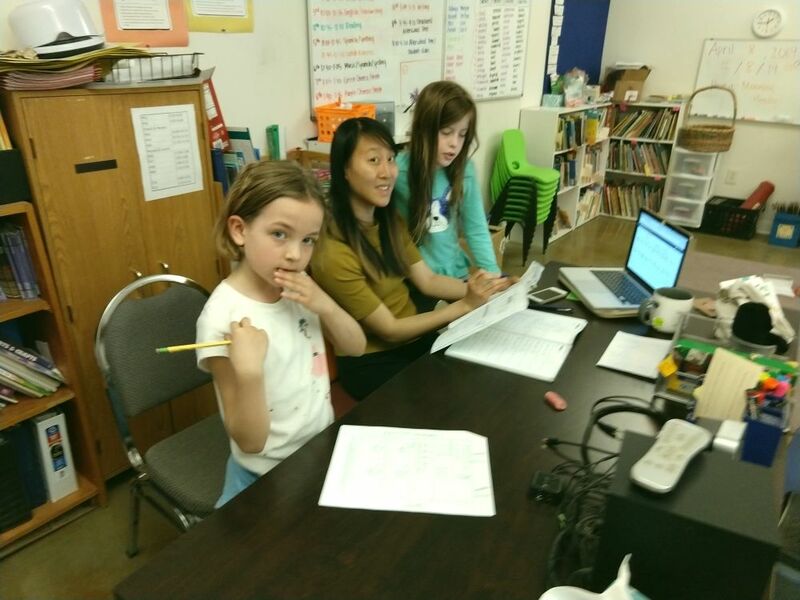 Kelly Lin, or Ms. Kelly as the students call her, does one-on-one math instruction with two of the fourteen students in grades 1 & 2. Yes, we have small classes, students who work on their own and with teachers, and great teachers.